Yi Qing Chen, 49, of Rosemead, California, was convicted by a federal jury on a series of federal charges related to schemes to smuggle many items into the United States last October. 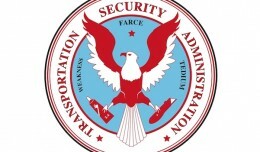 The defendant was found guilty of five felony counts: conspiracy to distribute methamphetamine and cocaine, distribution of cocaine, trafficking in counterfeit cigarettes (approximately 800,000 cases), trafficking in contraband cigarettes, and conspiracy to import missile systems designed to destroy aircraft. “The defendant’s willingness to smuggle surface-to-air missiles into this country or anywhere is a frightening concept because there can be no confusion as to the purpose of such contraband, nor to the potentially horrific consequences for innocent people,” said Steven Martinez, Assistant Director in Charge of the FBI in Los Angeles. According to the evidence shown in trial, Chen conspired to smuggle Chinese-made QW-2 shoulder-fired missiles into the U.S., among other things. This case was the first under a 2004 anti-terrorism statute that outlaws the importation of missile systems designed to destroy aircraft. 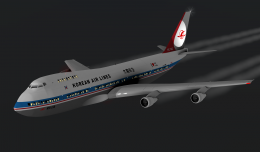 “Chen was the first person in the nation to be indicted for plotting to smuggle anti-aircraft missiles into the United States after the 9/11 attacks,” said United States Attorney André Birotte Jr. 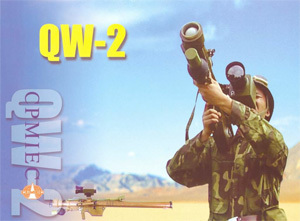 In 2006, Chao Tung Wu, a man who conspired with Chen, pleaded guilty to charges in relation to the plot to smuggle surface-to-air missiles into the United States. Wu died while pending sentencing and before Chen was brought to trial. Evidence demonstrated that Chen and Wu met with an undercover FBI agent, who they believed was an arms dealer, and agreed to arrange the importation of shoulder-fired QW-2 missiles from China. In addition, the two individuals agreed to deliver launch and operation hardware for the missiles. The weapons were never delivered as Chen and Wu were arrested in 2005 before the transaction was completed. Recordings played during trial, included discussions between Chen and Wu in which they talk about a wide range of criminal activities, including narcotics and counterfeit cigarette trafficking and shipping vehicles to China in containers. U.S. District Judge Dale Fischer sentenced the defendant to 25 years in prison, the mandatory minimum penalty specified in the 2004 statute, as well as ordering him to pay $520,000 to Philip Morris for the counterfeit cigarettes. Chen was the final defendant to be sentenced in relation to Operation Smoking Dragon, an FBI-led undercover investigation into smuggling operations in California. The operation led to the indictment of 87 individuals on charges related to international smuggling conspiracies of various items including currency, narcotics and others. 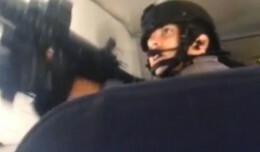 When a SWAT Team stormed a diverted Sunwing flight, many people were shocked and frightened. Former Navy SEAL Rich Graham gives un an inside view into the tactical environment. Last week's shoot-down of Malaysia Airlines Flight 17 shocked the world. 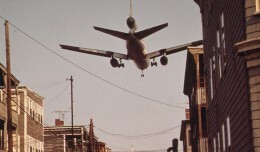 But it is far from the first time that an airliner has been shot down.